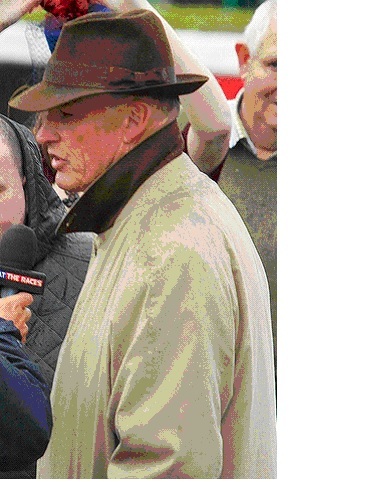 In the annals of horse racing, it would be difficult to find any horseman who has had the kind of success that U.K. trainer John Gosden’s success as a UK trainer has had during his career. In fact, referring to him as a U.K. trainer could be considered a misnomer given the success he has had in other countries like the United States, France and Ireland. John Harry Martin Gosden was born on 30 March 1951 in the city of Lewes, Sussex, England. As a young man, he attended the elite University of Cambridge where he pursued an education in Economics. Regardless of his studies, horse racing was in his blood from the beginning after spending time watching his father train horses until his father passed away in 1967. He currently lives in Newmarket where his primary operations are located. After graduating from Cambridge, he decided to pursue his dream of training racehorses. He worked briefly as an assistant to two renowned champion trainers in Vincent O’Brien and Sir Noel Murless. When offered an opportunity to relocate to the United States to work under Tommy Doyle, he packed up the family and off they went. After a short stint as Doyle's assistant, he took out his own training license in 1979. Faced with a choice, he made the decision to stay in California where his started a very small stable. By the time he had his first Grade I winner, Bates Motel in the Santa Anita "Big" Cap, his star was on the rise and his stable began to flourish. Gosden's success in America was a poorly kept secret and in 1989, he was offered a position as stable trainer for the powerful Stanley House Stables in Newmarket, England. It wasn't long before his horses were winning Group 1 races throughout Europe. During the 1990s, he would play a big part in boosting the riding career of the Italian born Frankie Dettori. Together, they would team up to win some of the biggest races on the continent. By late 1999, Gosden made another move to Manton in Wiltshire, England where his legend would continue to grow. It was during this time he became a real force on the French racing circuit. In 2007, Gosden was offered an elite opportunity to train at Newmarket for the powerful Clarehaven Stables, an offer he couldn't pass on. It was here that he has gone on to win some of England's most prestigious races, including the Coronation Stakes, the Epsom Derby, the King George VI and Queen Elizabeth Stakes, the Prince of Wales's Stakes, the Queen Elizabeth II Stakes, the St. James's Palace Stakes and the St. Leger as well as many others. Having had such a distinguished has led to John Gosden having a list of winners that reads like a Who's Who of horse racing. The list includes Benny the Dip (Epsom Derby, 1997), Muharram (Prince of Wales's Stakes, 1994 & 1995), Raven's Pass (Queen Elizabeth II Stakes and Breeders Cup Classic, 2008), Kingman (St. James's Palace Stakes and Prix Jacques Le Marois, 2014) and Taghrooda (King George VI and Queen Elizabeth Stakes and The Oaks, 2014). It is notable that Gosden became the first trainer in history to train the Cartier Champion Three-year-old Colt (Kingman), Three-year-old Filly (Taghrooda) and Horse of the Year (Kingman) all in the same year, 2014. While you are looking for places to do free betting or to make your free bets, you might look for an opportunity to bet on Gosden's latest superstar in Golden Horn. With this 3-year-old champion slated to for a possible run in the Prix de l'Arc de Triomphe in October, it might be the best opportunity to use free betting to place your free bets on a real winner.